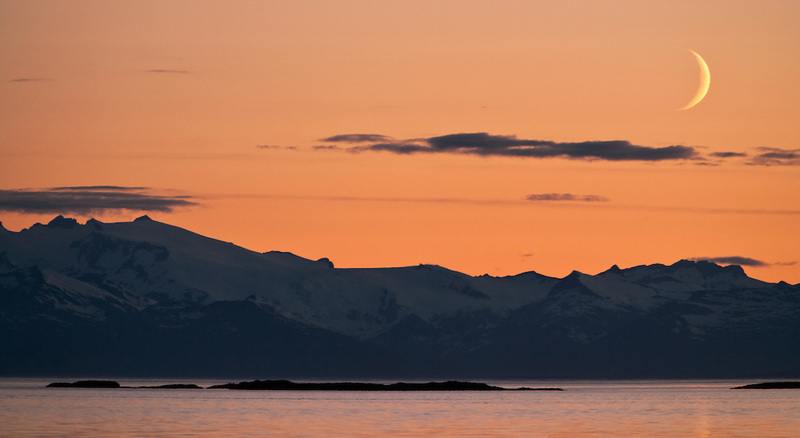 Moonrise at sunset over silhouetted mountains looking out from Kake on Kupreanof Island in the Inside Passage of Southeast Alaska. Evening. Summer.